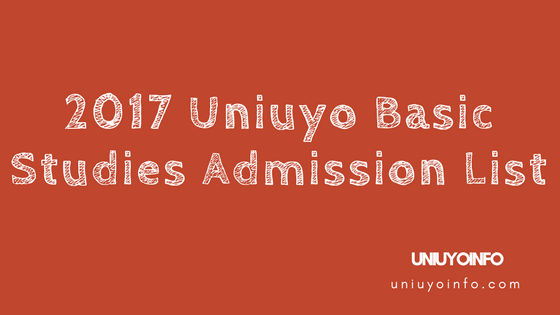 Uniuyo 2017 Basic Studies Admission List, 2017/18, See acceptance fee for all admitted students. 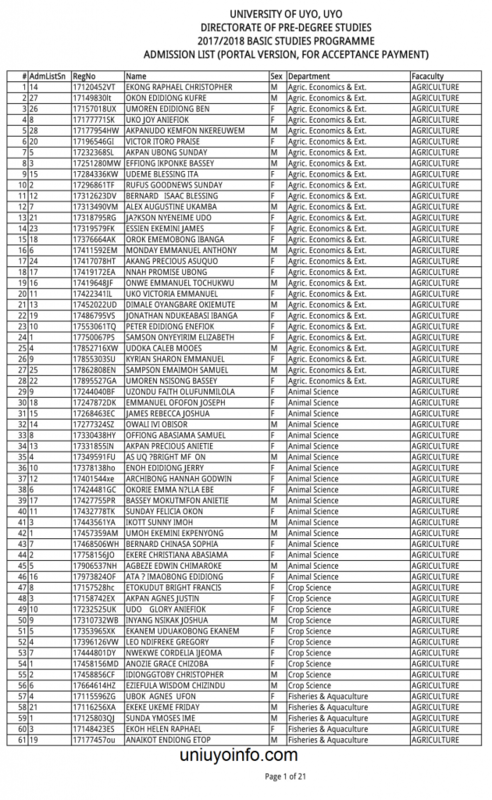 update(02/09/17): Uniuyo Basic studies supplementary admission list is out. See it below. 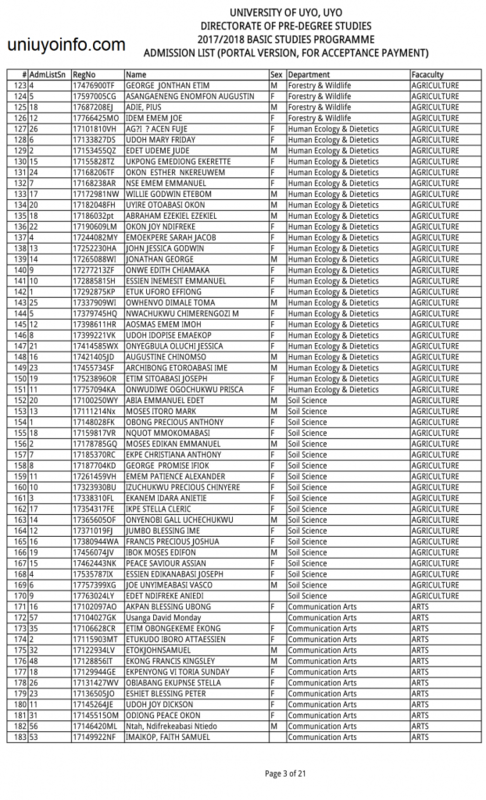 Scroll down to see the main Uniuyo Basic studies admission list. 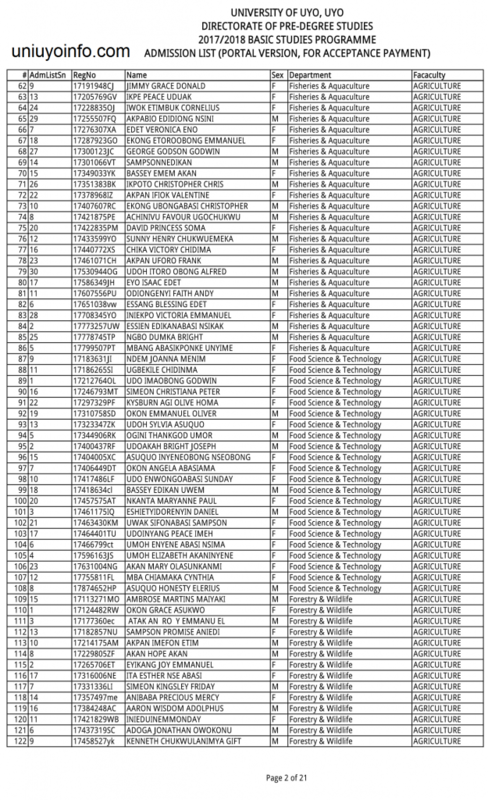 The under-listed names are offered admission to the respective programmes/courses. You are advised to go through the list carefully to confirm where your name appears. For candidates for the Basic Studies programme, chances are that if you did not score high enough for your programme/course of choice, you may have been offered admission to another programme/course for which you meet its requirements. Or gently scroll down to view the complete 2017/2018 University of Uyo Basic studies admission list below. Pls is it possible if i opt out from basic studies to pre degree program. Pls to prepare 4 the entrance exam into Uniuyo Jupeb programme what are the type of materials to prepare with jamb past questions or what? Pls will they release second batch list 4 those whose names ain’t dere..? Sorry to bother, I don’t understand this basic science admission list. Is it also meant for normal students seeking admission orbits just for pre degree students only ? is uniuyo provisional admission list out?